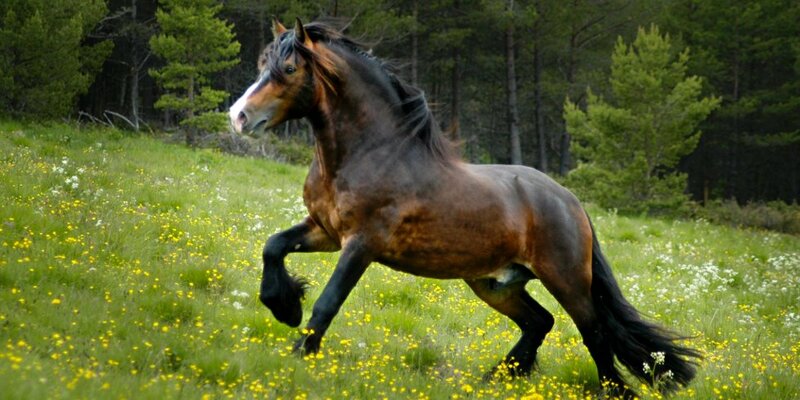 The Døle Horse is the largest of the four native breeds of horses in Norway. This horse is an all around breed also known as Gudbrandsdal Dølahest or the East Country Horse denoting the area in Norway where the breed was originally developed. The Døle Horse breed is an old breed. 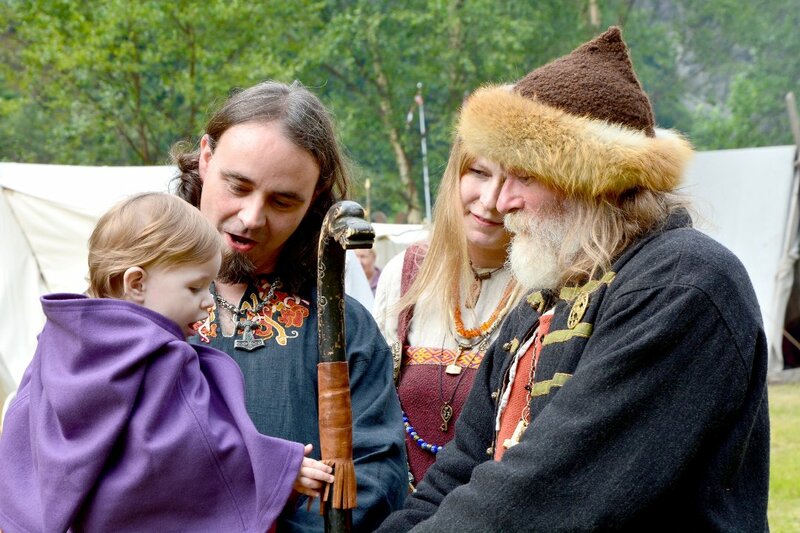 In his writings from the 1530’s, Archbishop Olaus Magnus mentioned the breed. As early as the 1850’s the breed type was established. The first official horse show was held by the Ministry of Agriculture in Lillehammer in 1857. These stallion shows are still held in the Lillehammer area to this day and are still held by the Ministry of Agriculture. The shows held today are three-day events. 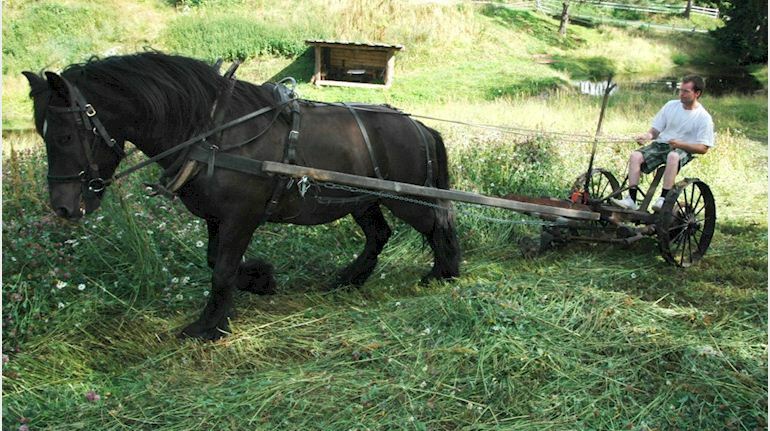 The Døle Horse was primarily used for farming or logging. They were also used by their owners to pull light carts or carriages. This created a desire to have a horse that carried itself in a refined manner. Its confirmation and disposition are a result of this. The Døle Horse continues to be appreciated for the versatility and distinctive character of breed. Døle and Fjord horses are in some parts of Norway still used in forestry for thinning out and transporting logs over short distances. They cause less damage to the forest floor and require narrower roads in general than tractors and logging rigs. The Døle Horse population as of the year 2000 was about 4,000. About 175 foals were registered that year. Black, bay, chestnut, and sorrel are the predominate colours, but there are also duns, dapple grey, and palominos. White is considered an undesirable colour for a Døle Horse. Markings such as a blaze, star, or socks are frequently seen. There should be a profusion of mane and tail. Spotted or paint coloration was last seen in the breed in the 1970’s. No spotted stallion was ever prized. The coloration was carried in the mares and very few were bred. It was eventually bred out. Norway has a unique tradition when it comes to their Døle horses. For more than 130 years, on or about June 15 to September 1, groups of mares are released on the free range mountain pastures with studs chosen by the breed association. The mares are grouped according to which stud the owner wants the mare bred to. There are many times when the mares foal while in the mountains. The horse owners are not worried about predators because of the stud’s ability to defend his herd. The last case was in 1998. A stud named Haugvar protected his herd from an attacking bear. He was found the next day with deep gashes in his rump and hind legs, very weak, and having a hard time breathing. After close examination, they found his wind pipe was restricted by bear fur he had pulled from the animal during the fight.